If you think NVMe is only for performance and has a big price premium attached, get ready. NVMe is reaching parity with SATA drives and from what we hear, NVMe cost per GB below SATA is next. You read that right. Not only is NVMe reaching price parity with SATA, it is headed below SATA pricing in the not so distant future. In fact, we are already seeing retail examples of where this is happening today. These are retail pricing, however, we just helped a hyper-converged infrastructure start-up select a platform for their cluster. SATA v. NVMe pricing was relatively close. NVMe just provides three times the performance. Samsung is not far behind this price trend in their enterprise pricing from what we hear and should be making this commonplace in the very near future. So why is NVMe heading to lower price points than SATA? There are a few factors at work let’s take a look at the cost, volume and competitive factors. 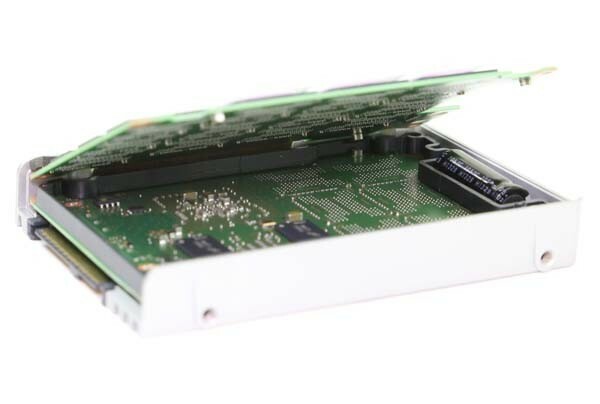 Looking at a SSD BOM the main cost driver for larger capacity SSDs is the NAND. The controllers are relatively similar in pricing. Housings, PCBs, capacitors and etc. are relatively similar in terms of cost. 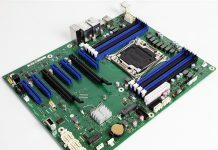 For the vendors that can control their NAND pricing and have their own controllers, they have superior cost structures making the price of SATA, SAS and NVMe SSDs relatively similar. On the volume side, there are a few factors at work. 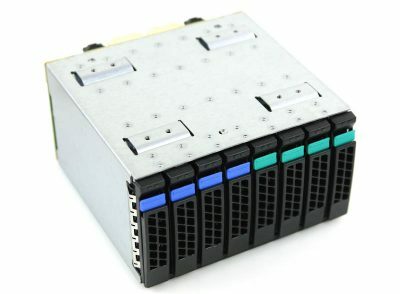 First, SAS3 and SATA pricing to large server OEMs is becoming much more competitive. We are seeing SAS3 SSD adoption in large HA arrays continue to increase as they displace 2.5″ hard drives. In other segments, SATA SSDs are being slowly displaced by NVMe SSDs. Using 24-bay disk shelves will require SAS HBAs or RAID cards on Intel Xeon servers so SAS SSDs are preferable. 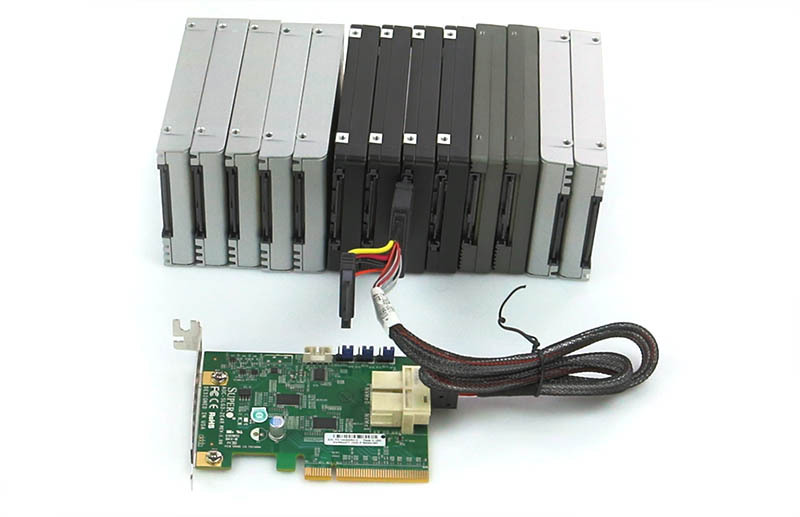 The result is that most projections have the SATA market declining. On the client side that supported many SSD vendors we are seeing laptops transition to NVMe SSDs. The traditional desktop market has been weak and some users are switching to NVMe SSDs. Volume for 2.5″ SATA SSDs is declining due to threats in virtually all of its competitive markets. Conversely, U.2 capacity NVMe SSDs and m.2 “gumstick” NMVe drives that share form factors with client counterparts are seeing increasing volumes. On the competitive side, Intel, Samsung, and a few other top-tier vendors are at war. The market transition to NVMe is an enormous opportunity to take market share before a myriad of other companies enter the market with drives. If Intel, Samsung, Toshiba, Western Digital and a few other companies can use their strong IP and supply chains to push pricing of NVMe below SATA the competition pool shrinks immensely. While SATA SSDs are everywhere, NVMe SSDs are faster and there are fewer players. As a result, the big enterprise SSD vendors have an interest in moving NVMe pricing below SATA pricing as it removes competitors from the market. If you want proof, you can already see select examples of NVMe SSDs pricing falling below SATA SSDs (we linked a few retail examples above.) From what we have heard, this is going to happen more often and by the end of Q4 2016 and early into the first half of 2017 we are going to see enterprise NVMe U.2 SSDs enter the market a lower cost per GB than their SATA counterparts. The company we advised was considering moving to low cost, commodity enterprise SATA drives. 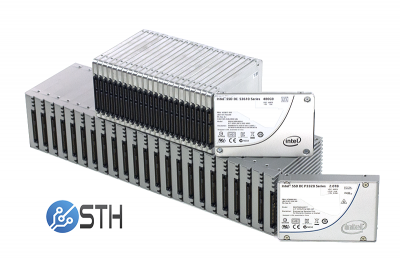 After trying a few configurations in our DemoEval service, the company switched from Samsung SATA SSDs to Intel NVMe SSDs in its new hardware appliance for hyper-converged nodes. Storage performance increased by approximately 3x in their cluster which in turn unearthed some software performance tuning opportunities. The pricing for that 3x speedup in each of the cluster nodes was virtually nothing. We are projecting that in 2017 we will still see some new data center SATA SSD entries into the market. We also expect that by the end of 2017 new enterprise SSDs will be primarily SAS3 or NVMe with not every generation receiving a SATA equivalent. With the introduction of Skylake-EP generation, we expect OEMs will start to re-tool their chassis and NVMe will become more widespread. As you can see from the LGA3647 socket, the next generation of hardware is a significant departure from LGA2011 that we have had for four generations now. If you do need help with spec’ing out a similar cluster or showing NVMe v. SATA performance, we are happy to help STH readers. Feel free to send me a note at patrick at this domain and I am happy to help spec out these clusters. As always, we appreciate your steady coverage of NVMe developments. of raw throughput, plus a few other RAID modes for comparison purposes.